Regular readers would know of Lloyd Godson and the Biosub Project. Lloyd won the $50,000 Australian Geographic Live Your Dream prize. The runner up was cave diver Brett Rapp whose Desert Dive expedition is no less exciting. This month Brett will be begin Operation Desert Dive, an expedition to Cocklebiddy Cave. Cocklebiddy is in the Nullabour Plain in Western Australia. The Nullabour is s a vast, treeless, flat, limestone plain covering 270 000 square kilometers. Its the worlds largest single piece of limestone and extends for 2000 km across the southern parts of Western Australia and South Australia, south of the Great Victoria Desert, and adjacent to the Great Australian Bight. 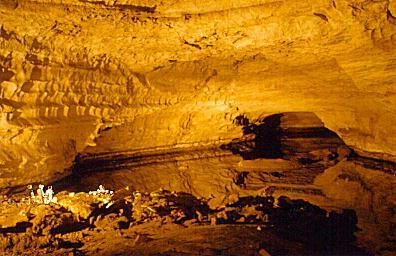 The karst features include many collapsed sink holes leading to deep cave systems such Cocklebiddy Cave. Its one of the worlds largest cave systems with over 4 kilometers of flooded passages. In 1983 French divers held the record by penetrating the cave to 6.4 kilometers. This record was only broken in 1995 by Australian Christopher Brown but only by 20 meters. The cave system has several limestone caverns, rockfalls and saline subterranean lakes. This will be a tough, dangerous expedition but the team have the right stuff. One member has already become the first woman to reach Toad Hall, a cavern over 4km into the cave. Good luck to Brett and the team!